Explorer's expert cartographers and designers created a bespoke English map for the Department of Planning and Survey Government of Umm Al Quwain. As specialist map producers in the region, this sophisticated map covers the emirate’s road network, street names, significant landmarks, attractions and new developments. 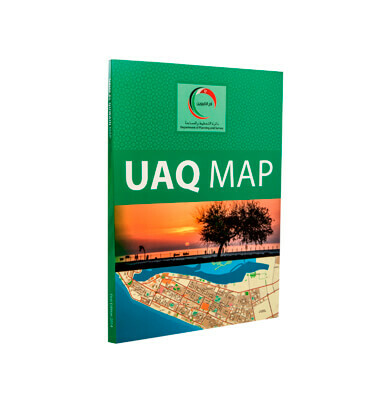 Using satellite imagery and definitive icons, impressive keys and clear legends, we pinpointed Umm Al Quwain’s hospitals, parks, hotels and more, making this a must-have map for any visitor.